Our wellness retreats are unique to the Caribbean and are designed to cater to the individual. Whether your preference is to is to follow a set schedule or choose a custom retreat experience, we deliver the rejuvenation you’re seeking. When you complete one of our wellness retreats, you can expect fundamental changes to your life. We provide a powerful healing environment with all you need to feel rejuvenated and restored. 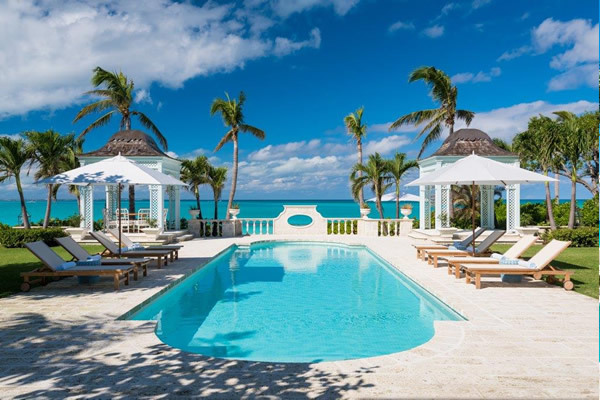 Coral pavilion is an elegant newly completed beach front villa located on the most envious stretch of Grace Bay Beach – voted World’s #1 Beach on Trip Advisor. Impeccably designed in the Barbadian style of Oliver Messel, this five-bedroom home with on site staff cottage spans more than 8,000 sq ft of seamless indoor and outdoor living with 120 ft of beach frontage. Coral Pavilion is unsurpassed in its artistic and aesthetic natural beauty. We use current medical research to deliver life-altering results through a whole-food plant-based diet, exercise, mindfulness practices, yoga and contemporary healing modalities. Our wellness retreats are facilitated by our diverse and experienced team of doctors and practitioners. We offer a wide array of treatments from western medicine, functional medicine, naturopathic medicine, to osteopathy, acupuncture and massage. Your retreat begins before you set foot on our beautiful island. We meet with every guest ahead of time to review your health and wellness goals so that every detail of your program is fine tuned to your individual needs. We believe in the importance of self-care and empower you with the tools you need to transform your life. We are passionate about providing a holistic, restorative experience for you, sharing our unique style of optimal living. So come join us, soak up the sunshine, breathe in the refreshing ocean air, and immerse yourself in the healing waters of the finest tropical beaches in the world. Paradise awaits . . .
Our Wellness Retreats include accommodation, full service plant-based meals prepared by our private chef, daily yoga classes, daily meditation, local sight seeing, a sunset boat excursion, cooking classes, snorkeling and other water activities, and so much more. Start your journey and embark on an unforgettable wellness experience in paradise. Come join us in paradise, soak up the sunshine, breathe in the refreshing ocean air and immerse yourself in the healing waters of the finest tropical beaches in the world. Our guests will enjoy 5-day, 4-night luxury accommodations at the beautiful Coral Pavilion located on the world famous Grace Bay Beach. Your retreat experience includes appointments with our experienced practitioners including our Medical Doctors, Naturopathic Doctors, Osteopath, Acupuncturist and Massage Therapist. Guests will also enjoy a private sunset boat cruise, snorkelling excursion, private chef, and yoga on the beach. We are offering this exclusive experience at an incredible beta pricing of $1,950.00 USD (flight costs are separate). Regular retreat pricing is approximately $10,400.00 for this villa. To reserve your spot or for more information please contact info@turksandcaicoswellness.com.